The fish immune system is extremely complex and has considerable adaptive potential. In Osteichthyes, the system is formed by lymphopoietic organs which are important for the differentiation and maturation of the immune system cells. These organs include the anterior kidney (phronephros), the thymus, the spleen, the posterior kidney (mesonephros), and mucosa-associated lymphoid tissues (MALT). Apart from the lymphocytic organs and the MALT system, the immune system components include defensive cells and their products. Those identified in fish include, inter alia, monocytes/macrophages, melanomacrophages, neutrophilic granulocytes, thrombocytes, B cells, plasma cells, and T cells. 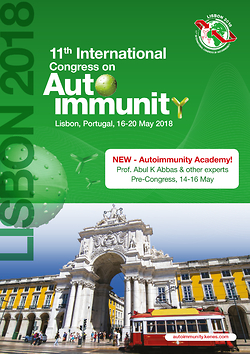 The roles of the individual components of the organisation of the immune system, the organs, and lymphoid tissue as well as the constituents conditioning the innate and adaptive immunity mechanisms are considered equally important, especially in the context of functional interdependence. The progress in the exploration of the processes of specific humoral immunity in Osteichthyes and the possibilities of their practical application is increasingly promising in view of the expected need for protection of fish against diseases. The paper discusses selected issues concerning recent knowledge about haematopoiesis of B cells, plasmablasts, plasma cells, and immunoglobulins (IgM, IgD, IgT/IgZ).